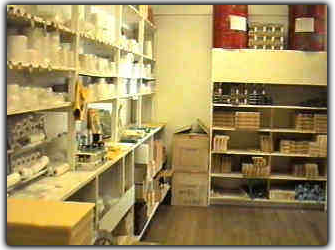 Redpath's Beekeeping Supplies has been run as a family business since 1964. Alan Redpath currently operates the retail business from Parkdale, one minute walk from the Parkdale railway station. The business was begun by Alan’s father Norman who discovered a passion for beekeeping eventually operating up to 300 hives, while selling beekeeping supplies, honey by variety both wholesale and retail. 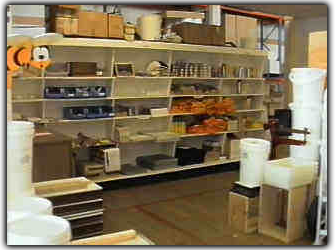 Redpath’s Beekeeping Supplies carry the largest stock of beekeeping equipment in South East Australia. Our aim is to have the stock when beekeepers most need it. All equipment is tested within our own apiaries, making sure of its suitability. The large showroom provides a comfortable place for beekeepers to view the equipment they need and to ask the many questions that arise when keeping bees. The business has many aspects including beekeeping equipment, and accessories, packing of honey for local and export markets, and the provision of queen bees and nucleus hives for both those starting out with beekeeping and commercial beekeepers. The production and sale of beeswax foundation is a source of pride to Redpath’s. Beeswax foundation is manufactured according to the Weed Process, a process that ensures a pure and flexible beeswax foundation that is easy to work with and also preferred by the bees. Our foundation is sold by our selected agents throughout Australia and is exported around the world including to one of the most fastidious markets, Japan. Alan Redpath actively supports various beekeeper associations and takes great satisfaction in seeing a new beekeeper learn the fundamentals and embark on the enjoyable and rewarding pastime of beekeeping.